Jun 20, 2018 11:44:19 AM / by Melaine Pita, Esq. So what is GDPR? How does it affect YOU? 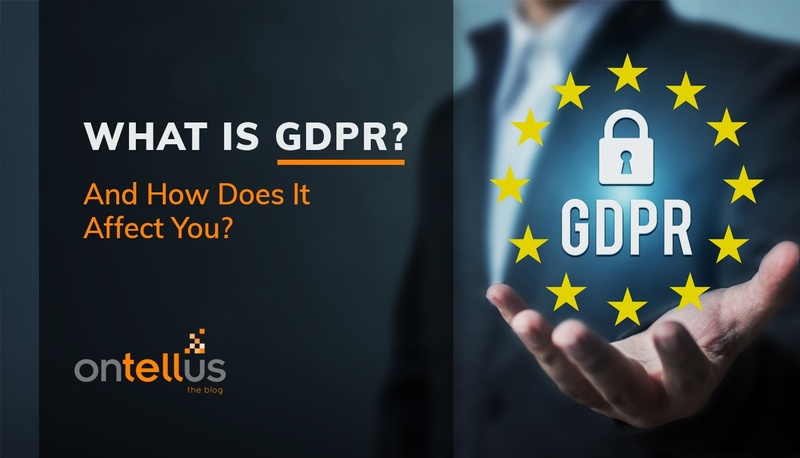 And most importantly, what is Ontellus doing to stay at the forefront of data security and compliance as it relates to GDPR? GDPR replaces the EU Data Protection Directive (DPD) adopted in 1995 and is intended to establish one single set of data protection and privacy rules across Europe. If your company collects data concerning any EU citizen, GDPR applies to you, irrespective of where you are located. The crux of GDPR is that it gives control back to EU residents over their personal data being held by companies. They have a right to know why the personal data is being processed, have access to it and have the ability to have it erased. Personal data is defined as any information relating to a person that can be used to directly or indirectly identify that person. This includes clear identifiers like names, addresses, phone numbers and social media posts. Indirect information might include IP addresses, physical, economic, cultural or social identities that can be linked back to a specific individual. In fact, there is no distinction between personal data about an individual in their private, public, or work roles—all are covered by the regulation. Companies are divided into one of two groups under the GDPR: data controllers & data processors. Data controllers determine the purposes, conditions and means of the processing of personal data. Data processors process personal data on behalf of the data controller. Furthermore, the company or organization must be able to show how and when consent was obtained. This consent does not need to be explicitly given; it can be implied by the person’s relationship with the company. However, the data obtained must be for specific, explicit and for legitimate purposes. 9. Designate a Data Protection Officer to take responsibility for data protection compliance. The GDPR forces companies to notify supervisory authorities of a data breach within 72 hours of the incident. Citizens affected by the breach should be notified “without undue delay,” according to the regulation. Failure to comply can result in fines of up to 20,000,000 Euros. At Ontellus, we respect your concerns about data privacy and are committed to provide our customers, including those who may be EU citizens, with the most secure and compliant tools available in the industry. Ultimately, the new regulation will be a welcome change for both consumers and global organizations. By keeping a more vigilant watch on data and how it is processed, we are all less likely to experience an information breach. Written by Melaine Pita, Esq. Melanie Pita is a licensed attorney and industry executive with more than 20 years of experience in the claims and litigation field. As a graduate of both Indiana University Bloomington and Drake University Law School, Melanie has extensive experience resolving significant legal, business and compliance issues in C-Suites, board rooms and courtrooms. Melanie’s wide-ranging expertise includes litigation, insurance defense, claims management, medical malpractice, data privacy and security, HIPAA, SOC, electronic medical records, HITECH, healthcare compliance, contract negotiation, marketing, scrum/agile product development, and project management. 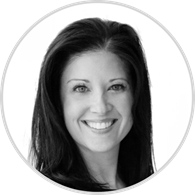 Melanie currently serves as Chief Legal Officer for Ontellus, where she leads the in-house legal and product strategy teams.